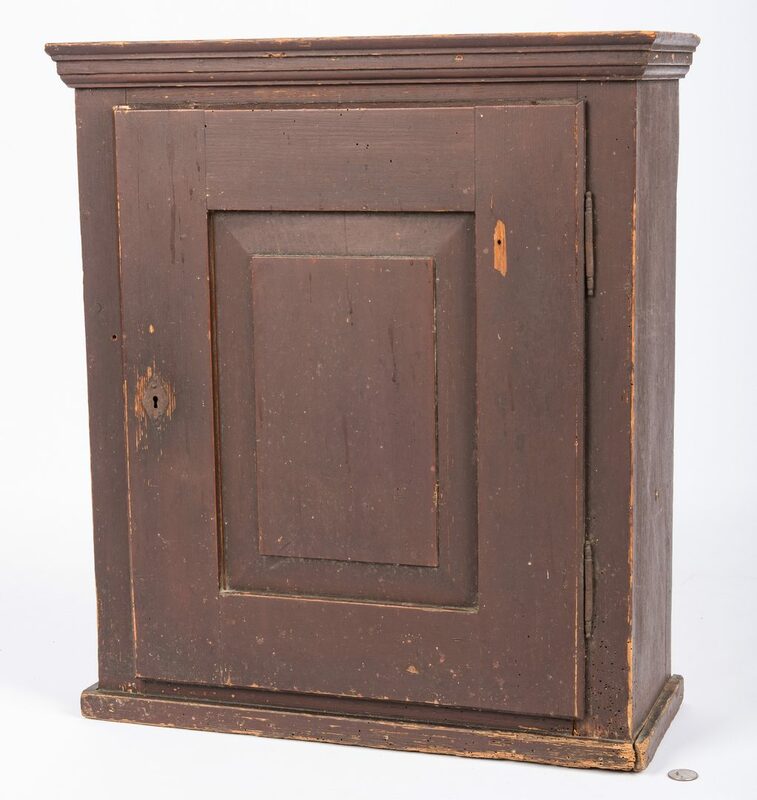 1st item: Mid-Atlantic painted pine one-door cupboard, molded overhanging top with one paneled door and one interior shelf, with brown paint. 23 3/8" H x 20 1/4" W x 8" D. 19th century. 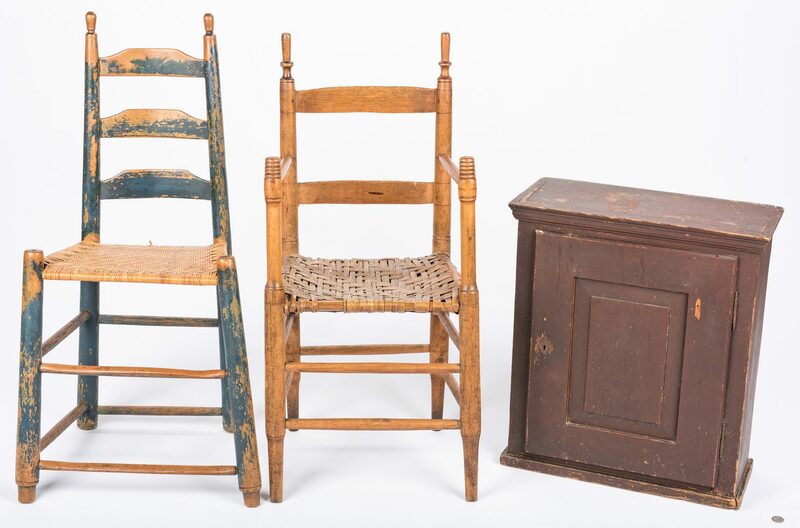 2nd item: East Tennessee mixed woods child's ladderback chair, tall turned finials, 2 back splats, arm posts with scored incising, and split oak seat. 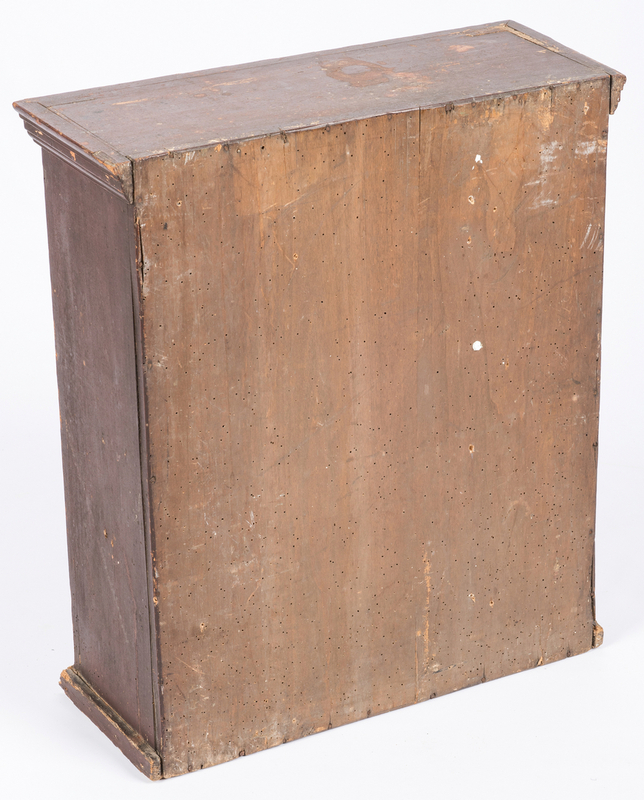 35" H x 16" W x 12 1/4" D. Third quarter of the 19th century. 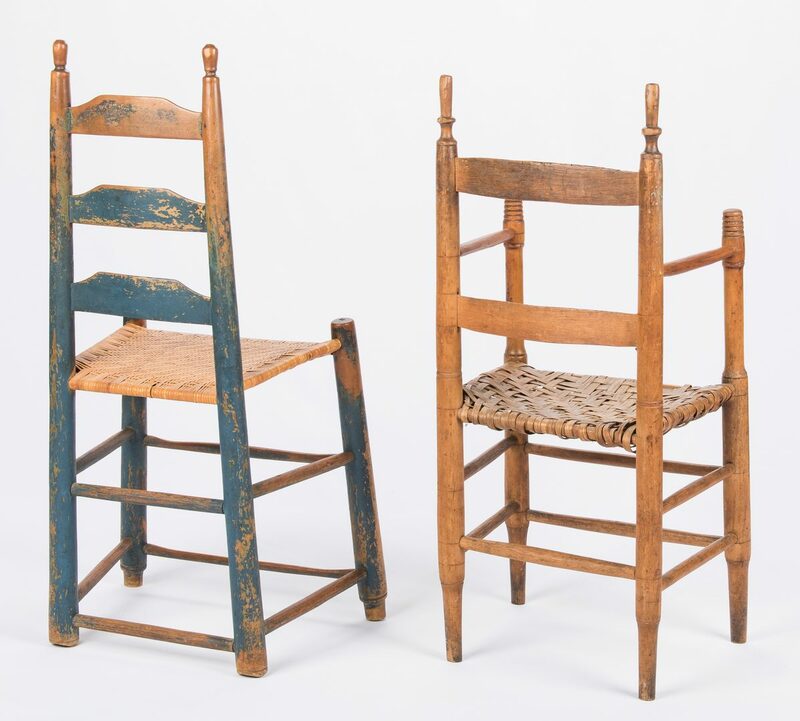 3rd item: East Tennessee mixed woods child's ladderback chair, turned finials, 3 back splats, green/blue paint and rivercane seat. 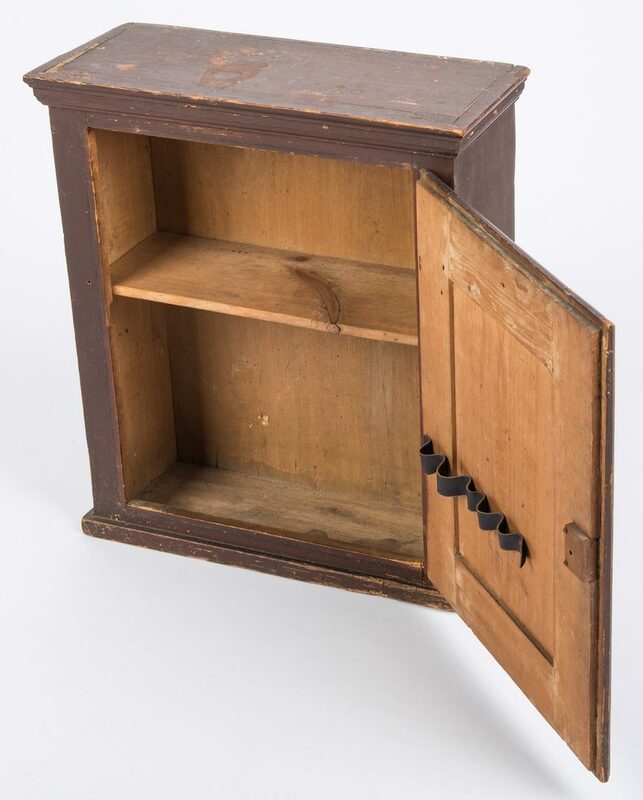 36 1/2" H x 16 1/4" W x 12 1/2" D. Third quarter of the 19th century. 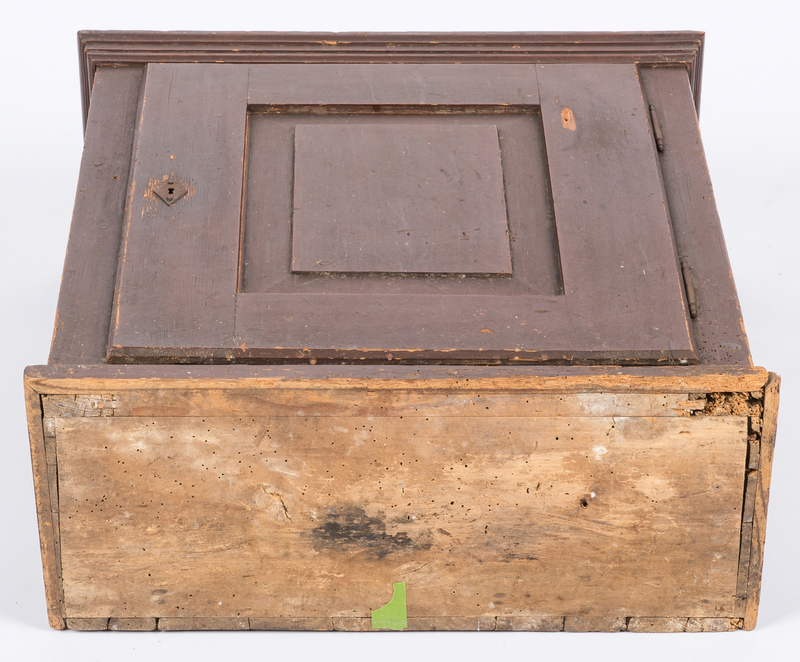 Provenance: Collection of Wilma & Jack Murray, Knoxville, TN. 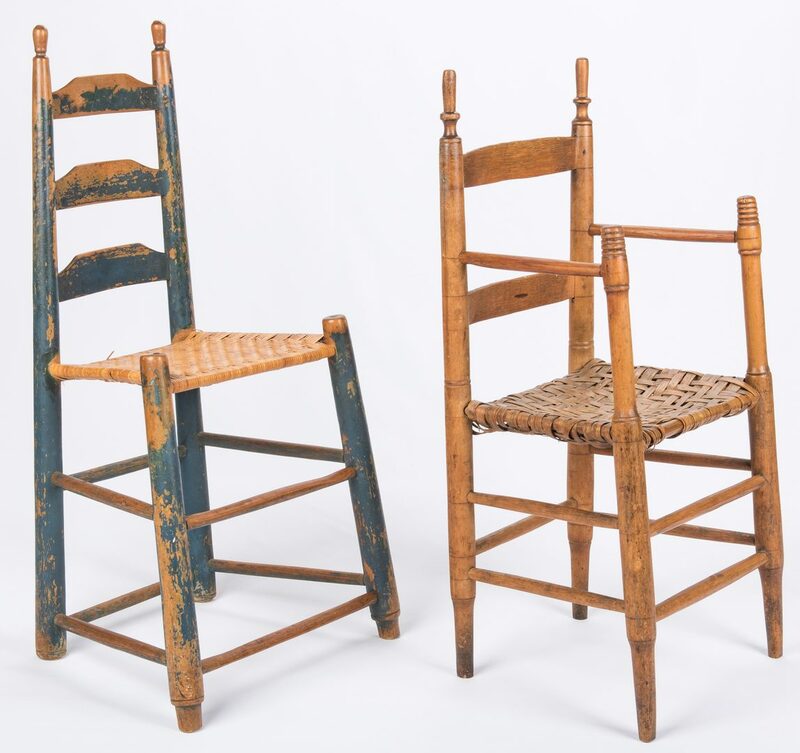 CONDITION: 1st item: Scattered wear and losses to paint, mostly to top and right front side. 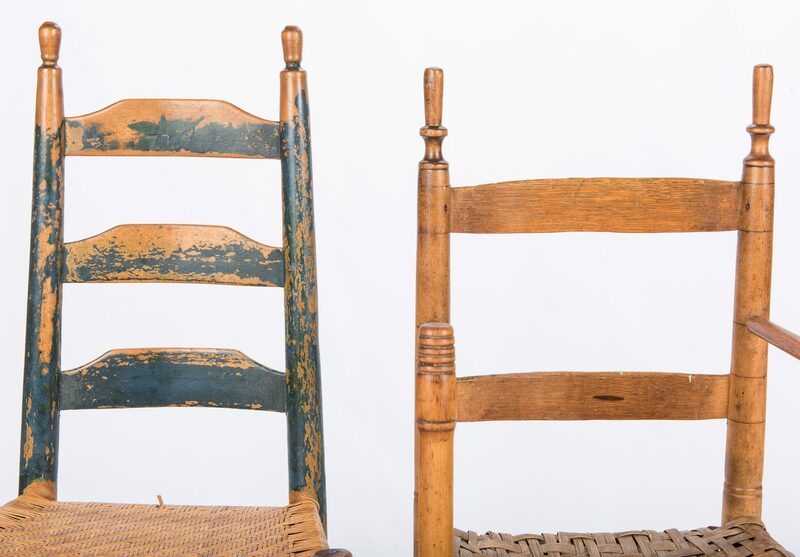 2nd item: Overall general wear, breaks and losses to seat. 3rd item: Seat not original with a couple of breaks. Overall general wear and losses to paint.